We get many requests from former students all over the world who would like to become OMNI Instructors and that is always a very special honor to us. Exclusive, Intensive, Professional – ISO 9001! The OMNI Instructor training is very exclusive and reserved for those who truly wish to teach the OMNI curriculum to students who sign up to learn from the best there is. 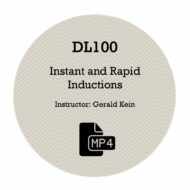 The training itself lasts 8 full days and is being coordinated by Gerald Kein & Hansruedi Wipf. It is like a boot camp where we mold you into self-confident instructors who take the profession to an all new level. We expect a lot from you, as we think that the OMNI name requires also the most proficient and professional instructors. Our current instructors are respected all over the world and are considered specialists and experts in the field of hypnosis & hypnotherapy. We are very well aware that our students are our business cards to the outside world. The better our students fare in the market, the more successful they become, the more we benefit as their instructors. We carry the OMNI instructor pin with pride and bring honor to the name and legacy of OMNI. After all, we are the first hypnotherapy training worldwide that not only got the OMNI training ISO 9001 certified, but also the actual hypnotherapy process, which is another great achievement in the company’s long history and that makes us quite unique in the hypnosis world. Your location (city, region) cannot be already reserved by another OMNI Instructor (see reserved locations here). Some countries, states or regions are based on exclusivity. Different rules apply for exclusive agreements. Unless otherwise indicated, you are allowed to teach the OMNI curriculum anywhere in the world though, unless the location/region/country is reserved already. If your location is already reserved, you may still apply for another location. You should be willing to work hard, remain focused and dedicated and show perseverance. Focus, dedication, perseverance spell one thing: Success! If you are not serious about the OMNI training or just want to take it because you wish to get a training with Jerry & myself, please refrain from doing so. We only want people who are serious about the business in the instructor classes. You may have to abandon other activities, such as stage shows or similar activities. Not that we are against it, but prefer you work as professional as possible, because that is what our students expect from us. Your stage is the classroom. You may have to supply a video of your work if we are unsure about your qualifications. Aside from a proven training concept and one of the most respected names in the field, you will of course benefit from so many additional perks that we have come up with, such as the affiliate marketing, the OMNI-Finder, design for banners & roll-ups, powerpoint presentations, marketing concepts, business strategies, networking amongst the instructors and so much more. You will be amazed what kind of opportunities you will get, once you become an OMNI Instructor. If you think it is going to be easy though, you may very well fool yourself. 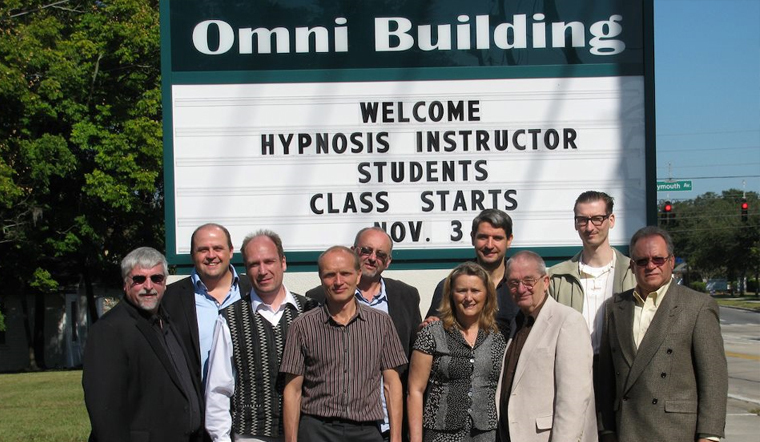 Even though OMNI is a very respected name in hypnosis worldwide, it still can be very tough to convince students to sign up. We are not known for being the cheapest training out there, nor do we want to be. We offer the best training there is and we also give so many additional advantages to our students once they graduate, that competing on price is not the right way to go. If you want to buy a Mercedes-Benz, you will have to pay for that kind of quality and service and our training is considered to be the Mercedes-Benz of all hypnosis trainings out there. Success can be tremendous. If you are dedicated, focused and do a great job marketing the OMNI training, you may be able to make a serious living from it. Many of us do – but we all know how hard we worked in order to get where we are. So if you can truly say that you want all this and that you meet these requirements, then we are looking forward to your application. If you think that we miss out because you bring along other trades that makes it indispensible to have you on board, well, apply! Should you have any questions or are unsure about the requirements, get in touch and let’s talk.